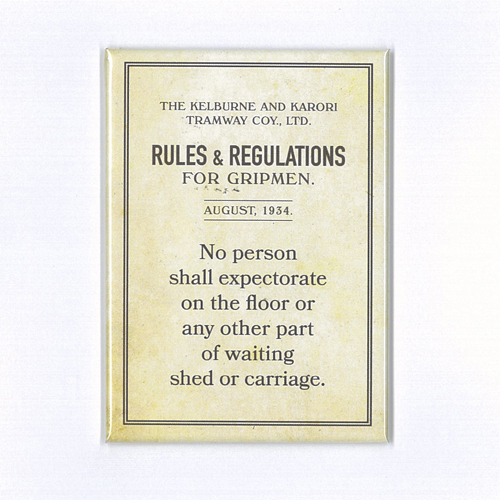 The Gripmen Rules Expectorate Magnet makes the perfect souvenir for anyone who has enjoyed a ride up the Cable Car. Take home part of the history of Wellington’s most-loved pubic transport system and brighten up your fridge with this magnet telling people not to ‘expectorate on the floor’. Featuring a plastic-laminate cover, it wipes down easily making it a durable addition to even the busiest kitchen. The magnet also has a large magnetic pad for secure display.